Think of the digestive system like an automobiles fuel and exhaust system. If you put the wrong fuel type, or use poor quality fuel - the result will be poor performance and premature wear and breakdown. The symptoms can vary - bloating, constipation, gas, etc. 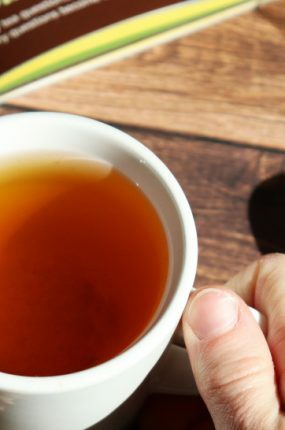 Before you consider tea, you should take a self assessment into your current diet. Are you consuming processed foods? Lots of sugar? Depending on the severity of your symptoms, such as severe IBS, you may want to see a doctor, especially one well versed in nutrition . However there are plenty of resources that you can utilize to self diagnose and take the first steps. First step - analyze your diet and eliminate processed food. Second Step - Are you suffering specific symptoms? Certain foods, like garlic may increase gas and bloating in some people. The process of elimination can determine if specific foods or food groups are causing issues. Some people may have allergies or sensitives to certain foods. You may be a coffee drinker. Coffee may cause digestion issues because of its high acid content and caffeine content. You may want to limit OR eliminate coffee in your tests. Consider tea PART of the diet. First, it can be used as your primary fluid intake instead of water. Secondly, tea will contain less caffeine than coffee. Most herbal teas contain no caffeine. 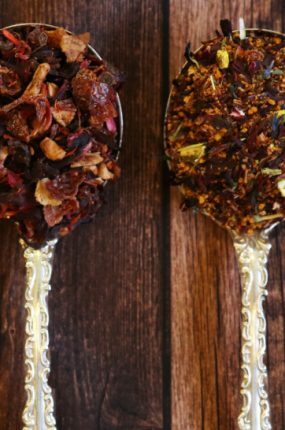 A combination of regular and herbal tea consumed throughout the day will allow you to enjoy the benefits of tea without overdosing on caffeine. Pu-erh - the after meal tea. Pu-erh tea is fermented tea that has it's own unique health properties. For hundreds of years, the Chinese have used Pu-erh tea to aid in digestion after meals. 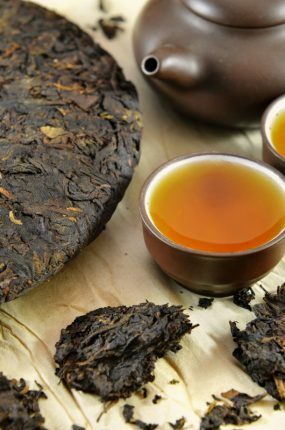 Pu-erh has also been linked with weight loss and lower cholesterol. Since Pu-erh contains modest amounts of caffeine, it will help make the body more efficient at digestion. Drink it either in the morning or after lunch. Plain Pu-erh has any earthy flavor which is an acquired taste. Luckily there are numerous flavored Pu-erh teas that are masterfully blended to be delicious. Additionally, there are numerous blends that contain a mixture of teas including Pu-erh. There are numerous herbs that have been used for many years to alleviate various ailments including digestion. Drinking these herbs or blends that contain them are a great way to introduce digestion friendly ingredients into your diet. Peppermint is often the primary ingredient used in the relief of gastrointestinal disorders.It helps calm the stomach. This is one of the herbs commonly consumed by itself. This herb has been used for indigestion, acidity, bloating, nausea and gastritis. You can drink it alone but there are plenty of blends that include Chamomile. Ginger helps stimulate saliva, bile and gastric juice production. Drink before or pair it with a meal. Pu-erh, while it is fermented is not "alive" when you drink it. The live tea would be kombucha. It is available in most grocery stores, and can also be home brewed. Because it contains live cultures like yogurt or Kefir, it would be something to drink to improve your gut health. Think of tea as a low dose medicine. Drinking it in moderation throughout the day will expose your body to anti-oxidants or other beneficial properties from herbs. No one tea is going to be a magic bullet. Diet - with tea being part of it, will be one of the easiest ways to start. If your symptoms do not go away or are severe - consider meeting with a nutritionist. Below are some of the teas that contain ingredients mentioned in the article and what are recommended for better digestion. What's Pu-Erh Tea? Pronunciation, Origins, and More! 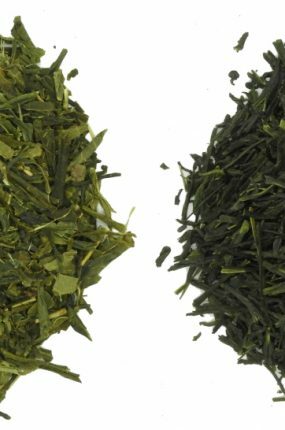 Does tea grade affect flavor?